'Green building’ is a term used widely in books, internet, and media to promote ideas and creativity of designing a building in order to achieve sustainable development and gives welfare to the human being. It has been perceived as a good building in a sense that, it passes through two major tests, which is the building itself minimizes or gives no negative environmental impact to the earth during its life cycle (sitting, designing, constructing, operating and demolition), and to produce an excellent indoor environment for the occupant. From this point, it serves the society in two roles, preserves the essence of the world for a future generation, and to bring well being and good health to the present generation. It is one of the strategies to achieve sustainable development. 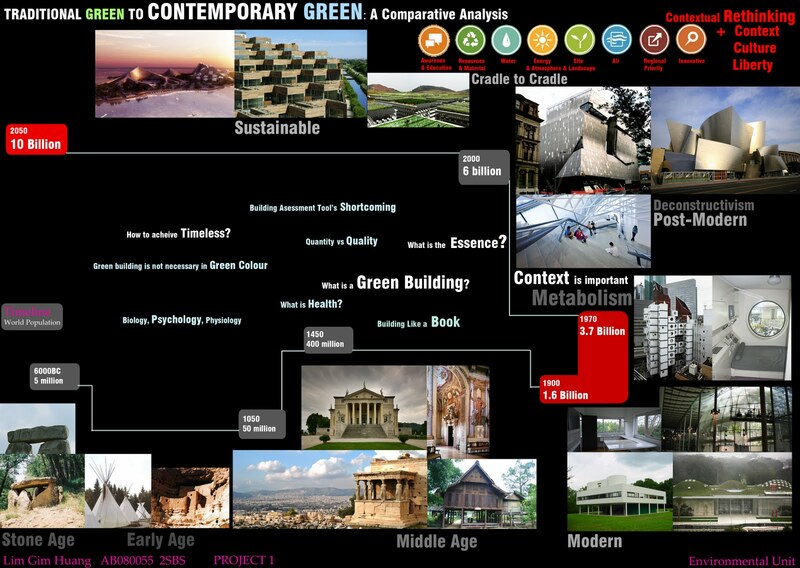 It is crucial to question the essence of being green, and what is meant by green building for the current context. Green building performs in two senses, both in the microenvironment where it provides excellent indoor and immediate outdoor environment to occupants, and macro environment where it gives less or no harm to the nature during its life cycle. What is mean by excellent indoor and outdoor environment? Or we should question what is health? We may talk about it in a biological sense, but also psychological sense which is equally important. Health evolves human physical condition, thermal comfort, and psychological well-being which is strongly related to feeling, mood, stress, etc. On the macroenvironment, a green building does less impact on the earth throughout its life cycle which is the state of sitting, designing, constructing, operation and demolition. Building demolition is one of an essential part to be concerned. The process of destructing a building consumes energy and produces pollution. The only way to avoid it is to produce a timeless way of building. So what makes a value to a particular building? Climate, topography and culture, these three would make manifest a character of a place of its time. It is important to look at how the ancient architecture of the world such as the Great Greek Temple, Roman architecture and so on which has been sustained for more than 500 years. They are well served as great buildings during their periods while being a good place of tourism for now. A building is a test of time, and we do not want to wait for another 500 years to test a building. A building cannot be timeless alone on its own but it is the process of making to achieve a timeless way.